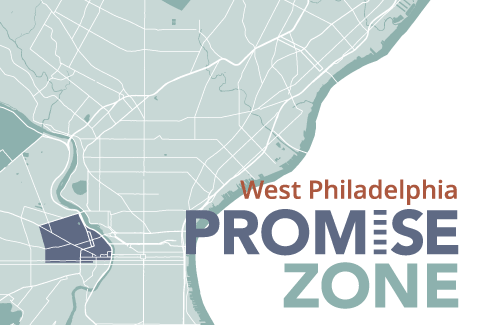 The Obama Administration awarded Philadelphia one of the first five Promise Zone designations on January 9th, 2014. 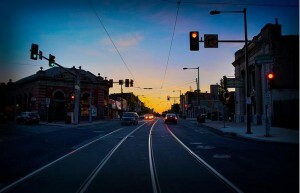 The designation encourages public, non-profit, and private organizations to collaborate on shared anti-poverty initiatives that address neighborhoods between the Schuylkill River, 48th Street, Sansom Street, and Girard Avenue. Organizations working on efforts in this area have an advantage when applying for certain Federal funding programs, and private funders are increasingly interested in Promise Zone and other place-based approaches. Over the past year, Promise Zone partners have secured roughly $30 million in funding. Over 100 organizations collaborate on one of six Promise Zone Committees, which focus on education, housing, economic development, health and wellness, public safety, and community engagement. The Mayor’s Office of Community Empowerment and Opportunity (CEO) serves as the lead agency, convening partners, identifying shared priorities, and driving a collective impact approach. This article highlights a few accomplishments from Promise Zone partners. Implementation partners took a strong stance on boosting education efforts from early childhood all the way to adult education. A Community Innovation Zone grant from the state will provide resources and technical assistance to continue to improve opportunities for high-quality child care in the Promise Zone. Drexel University received the 21st Century Community Learning Center Grant that provides support to Science, Technology, Engineering and Math (STEM) and Positive Behavior Intervention and Support (PBIS) programs to schools in the Promise Zone such as McMichael Elementary. The School District of Philadelphia received a Gear Up Grant, which provides support services such as mentoring, tutoring, college awareness activities, college preparation work, financial aid support and study skills training. The Education Committee also received feedback from partners that prioritized workforce development. In response, CEO is establishing the necessary partnerships to better connect residents with anchor institution jobs, and advance adult education efforts. The Promise Zone Initiative held its first two of five housing workshops that assist current residents on issues such as tangled titles, foreclosure avoidance, maintenance and weatherization, and renter rights. These workshops will take place in neighborhoods throughout the Promise Zone with the first one taking place in Mill Creek. The Housing Committee has collaborated with resident groups to understand local priorities, and organize workshops that are inviting and accessible to neighbors. Mt. Vernon Manor received support from OHCD to complete Phase 2 to rehabilitate its remaining 48 properties. 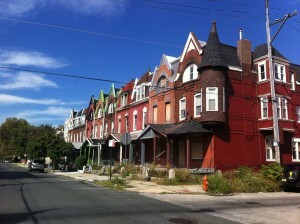 They recently submitted an application for low-income housing tax credits. If awarded, work on this project will begin before the end of 2015. The Public Safety Committee points to reductions in violent crime in the Promise Zone in the last year, based in part on increased police attention to “hot spots” in Mantua. The Committee has recently engaged Drexel University students to help build new relationships between student renters and long-standing neighborhood residents. The Juvenile Justice Center of Philadelphia received a Face Forward 2 Grant (Department of Labor) to provide career training for youth who have been involved in the justice system. Their efforts will focus on the Promise Zone through a new service site in Mantua. Health and wellness grants such as the Healthy Start Grant (Philadelphia Department of Public Health Division of Maternal, Child & Family Health), the Health Food Financing Initiative (People’s Emergency Center), and Local Food Promotion Program (The Enterprise Center and Drexel University) were all awarded to Promise Zone partners. The Enterprise Center also received two other grants which focus on providing assistance to businesses seeking loans and expanding the existing Philly Food Innovation Loan Fund. Looking forward to year two, the Promise Zone will continue to engage residents with ongoing collaboration with civics and community groups. CEO and its partner organizations are in the process of creating an action plan that will identify priority near, mid, and long-term objectives. The Promise Zone Committees continue to work on helping advance projects that serve the needs of Promise Zone residents.